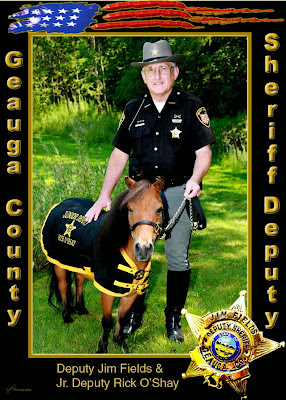 OHIO -- The lesson Midge has taught the Geauga County Sheriff's Office: Sometimes, it's OK to think small. 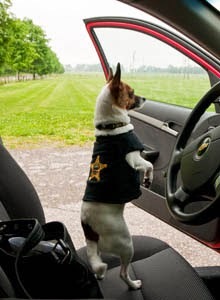 Midge — a tiny terrier - Chihuahua mix — has been sniffing for narcotics as a K-9 deputy for five years. She also has served as an unofficial mascot for the Sheriff's Office. However, her reign as the most adorable, fun-sized animal on staff has been challenged. The Sheriff's Office unveiled its newest junior deputy, a miniature horse named Rick O'Shay, at a pair of community fairs during the summer. He was immediately popular with kids, Sheriff Daniel McClelland said. "He's an automatic draw," the sheriff said. "People like to come up and see the little horse. We think that's important. All too often, law enforcement, particularly to children, is perceived as this big, tough presence. (They see) law enforcement officers as large individuals who carry firearms and night sticks. They can be quite intimidating to a little child." 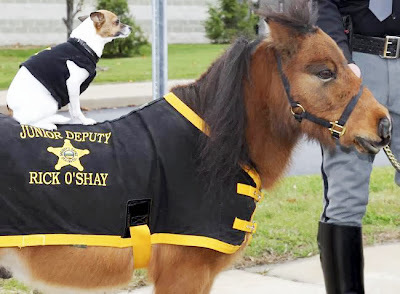 Though Rick O'Shay is technically part of the mounted unit, he's too tiny (34 inches tall, about 300 pounds) to ride. Instead, he serves a more informal role. He helps ingratiate the Sheriff's Office toward children and their families. McClelland said that O'Shay "can demonstrate a different side of law enforcement, a softer side, maybe a fun side." Jim Fields, the assistant commander of the Sheriff's Office's mounted unit, owns and cares for Rick O'Shay. 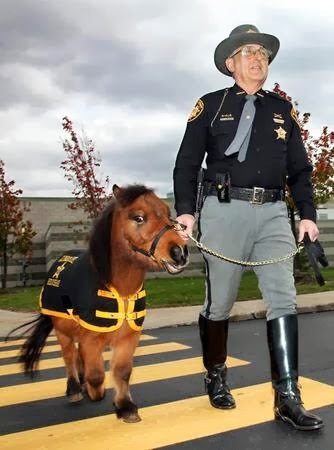 It was his idea to add a miniature horse to the unit. Rick O'Shay was rescued from a slaughterhouse. 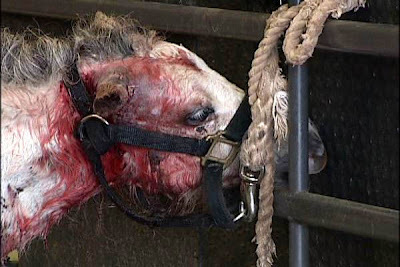 While still a foal, he became sick. However, the people at the slaughterhouse said they could not use a sick horse for its meat. Consequently, Nancy Zagin of Ravenna stepped in to save Rick O'Shay. "She said he was skin and bones, picked him up and put him in her garage," Fields said. "She didn't know what was wrong with him. She said it took him three weeks for him to even lift his head. Gradually, with her care, she was able to bring him back. She had him for about three years." Rick O'Shay is healthy now. He's an even-tempered equine who went through the same certification tests other horses in the mounted unit receive. The certification involves nuisance training, including seeing how he reacts to loud noises like gunfire. "Our feeling here is if Rick O'Shay was going to be spending time with children he needed to demonstrate that he wasn't easily spooked, that he was docile, well-behaved, worked well with people," McClelland said. McClelland added that he hoped Rick O'Shay, like Midge, would provide one more way for people to get to know the Sheriff's Office. "We wanted something that represented the true spirit of community policing, and we think Rick O'Shay can help do that. Rick O'Shay can make it OK for young children to come and talk to law enforcement," he said. WASHINGTON -- Yet another article concerning Burien’s animal control. But yet Burien deems a dog “dangerous” and then releases it ??? WOW! BURIEN what gives you the RIGHT? to take a “dangerous dog” that caused serious injury and disfigurement to someone in your community, and release it into someone else’s community !!! Don’t tell me it’s the law. Burien had the option well within the law to euthanize a vicious, uncontrollable, aggressive, “dangerous dog” that was harmful to the community. After deeming the dog “dangerous” Burien decided to return it back to the owners Gabriele Garcia and Juan Garcia, with an order to remove the dog from the city after violating city code. Was this dog dangerous, aggressive, vicious, or uncontrollable? There was a hearing held at Burien’s city hall Sept. 21st, 2010 where the owners of the dog appealed the decision to remove the dog from the city for violating city code, in which Burien upheld their decision to release the dog and ban it from the city. A blog posting from one of the first two EMTs to respond to the scene. Kman says: ” I was one of the 2 first EMTs on scene to render aid to this patient. This dog was extremely aggressive and we were very concerned about our and the patient’s continued safety with this animal within striking distance. 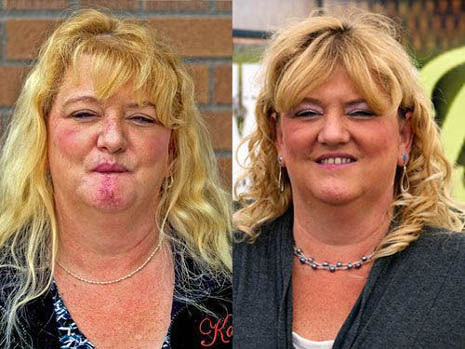 This poor woman will be disfigured for life and someone actually wants to keep this dog alive? Nurture or nature, folks it doesn’t matter… if a human had done this they would be locked up for aggravated assault and quite possibly attempted murder (doing 10+ in Walla Walla). Burien, pull your head out! Human Beings are lives, animals (especially vicious ones), are property. Protect your citizens and destroy a hazard that can cause further tragedy!!! ” End of EMTs statement. A blog posting from a neighbor next-door to the owners of the dog. JD says: “This story is about the ridiculousness of Burien’s animal control law. This dog should be put down because it is dangerous and will harm another person if given the opportunity. I know the dog, the owners and I’ve met Jeanette. It’s all around a very bad situation. This dog was left outside day and night with little human interaction. It would bark for hours for no apparent reason and just prior to the attack it was sick or injured and acting strangely. I know this because I lived next to the dog. Go ahead blame Kiko, the breed or the owners but it’s not going to improve Jeanette’s situation. 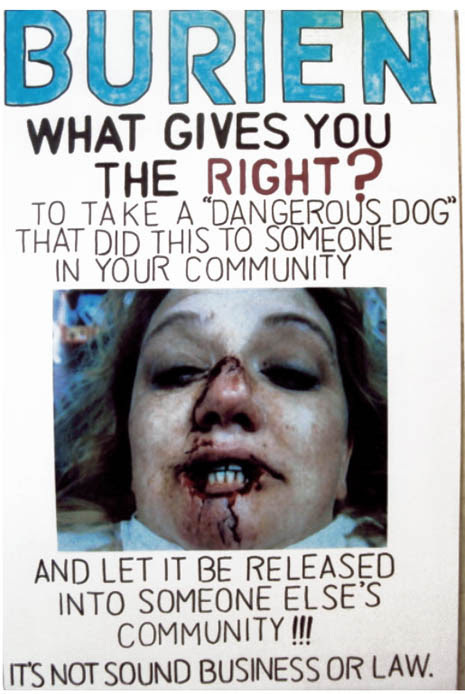 The city council needs to recognize that Burien has released a dangerous dog to another community where it can attack another human. This is ridiculous and wrong; all of us citizens will pay the price when the city is sued for a ton of money the next time Kiko attacks.” End of neighbors statement. This removal order requires proof of both, the violation (which is obvious) and the appropriateness of the remedy animal control has imposed (which is irresponsible and WRONG). This removal order does not take any measures to prevent future neglect, abuse, animal care, or owner control. These dog owners do not believe their dog to be dangerous, or the owners to be neglectful. So the perception is that these animal care and control laws are for ‘other’ dogs, problem dogs, but not their dog. Burien’s dangerous dog laws, and animal care and control laws are a feel-good attempt to show the community that the authorities are taking action. Animal care and control laws are intentionally ‘ vague’ and ‘ interpretive ‘ by animal control authorities. Thus the facts of alleged animal care and control , is rarely ‘ pure ‘, and are a personal (opinion) ‘ interpretation ‘ of the animal control authority. In fact , many animal care and control city ordinances are flawed and may be considered unconstitutional for failure to provide victims notice and hearing before or after the release of an uncontrollable biting or vicious dog. However most cities do not release an uncontrollable or vicious dog that has caused serious injury and disfigurement to someone. Jeanette thought she was going to bleed to death before she could get medical attention that night. What has to happen to a person besides their face being permanently disfigured and scared for life, does someone have to die before Burien determines that a vicious animal in violation does not belong in anyone’s community. Jeanette believes she took that bite so that she might have saved a child’s life, and part of the emotional healing is knowing that that dog can not hurt or possibly kill any other human being. She is having a tough time healing her emotional scars knowing that this dog has been set free. Every city and state should have a “dangerous dog” law that provides sufficient protection to the community. Burien’s city council members remind me of a bunch of 7th graders giving themselves an award before the community has even tested their new policies. Except for council member Lucy Krakowiak the only one on the council that has common sense. For those readers that are not familiar with Jeanette Cunningham’s incident. On July 24th, 2010 at 8:55pm Jeanette Cunningham was the victim of an unprovoked attack by a pit bull mix on a public street in Burien. The dog was off of the owners property after leaving the property through an open gate while the owners were not home. After the attack, a 9-11 emergency call was made, medical aid arrived at the scene, but Burien police did not respond to the scene, Burien animal control did not respond to the scene. With her mouth closed you could see her bottom teeth, her gums, and part of her jaw. This was a life changing incident and I did everything I could to calm her until they could admit her. Once she was admitted, sometime after that Burien animal control was called to go seize the dog. Leslie Kasper( Burien’s lame Animal control authority) arrived at the dog owners home at the same time the owners of the dog arrived home, 11:36pm. The owners were not willing to give up the dog, so she called the King County Sheriff’s office for assistance, they arrived at 11:45pm and cleared the mess up at 12:05 am. Before police arrived Leslie Kasper was standing at the fence trying to convince the dog owners to give up the dog, and the dog jumped up at her and nipped her in the arm. Even after police responded to assist Leslie with help seizing the dog, police did not file an incident report concerning the initial incident. Meanwhile Jeanette was sitting there suffering in a trauma situation waiting for Burien’s Animal control to call the hospital back concerning rabies before they could proceed with surgery, 2 1/2 – 3 hrs waiting in trauma. So just realize that if you are ever attacked by a vicious dog in Burien be sure to make three 9-11 emergency calls,one for medical aid, one for Burien police assistance, and one for Buriens lame animal control assistance. The city of burien’s bizarre “dangerous dog”decision is ridiculous and completely irresponsible. I want the city of Burien to know that they are the blame for putting my wife through emotional distress because of the horrible polices the city council has adopted. Burien’s city council voted not to join the new Regional Animal Services of King County. Instead they have patched together a makeshift system that let them release a “dangerous dog” into another community where it can attack another innocent human being. This is ridiculous and WRONG. Putting a “dangerous dog” in someone else’s city is not sound business or law. My wife can not begin to heal her emotional wounds knowing that the city of Burien has put someones life in danger by allowing a “dangerous dog” to be relocated in another city. That’s another scar the city of Burien has added to my wife’s emotional state of mind besides the physical and emotional scars she has from being attacked by a”dangerous dog.”The city of Burien should focus on creating laws that protect society. People who suffer from emotional distress suffer real losses…. Burien’s dangerous dog ordinance needs to be amended SOON ! Call Burien’s city council and let them know it’s time to amend Ordinance No. 543….. PLEASE. PS. I don’t need to blame the owners or the breed. I just realize that most of the negative comments will come from people that have not had someone they love for life permanently disfigured by a vicious dog. It’s about having the right to penalize the vicious dog and the owners instead of setting the dog free with no requirements regarding owner responsibilities other than to remove it from the city of Burien, and having someone else experience their loved one being scared and disfigured for life.So say all you want about poor dogs or bad owners, this article has very little to do with the breed and everything to do with vicious dogs that attack unprovoked. Oh by the way, congratulations on your Schrammie award for your idiotic policies Burien. This morning I attended a “Dangerous Dog” hearing in the City of Burien. The hearing involved an appeal by the owners of a dangerous pit bull dog. The owners were appealing the City’s determination that the dog was dangerous and should be banned from the city limits. The dog owners, Gabriele and Juan Garcia, appealed the City of Burien’s decision to declare the animal dangerous and then ban it from the City. That determination was eventually upheld by the hearing examiner this morning (Tuesday, Sept. 21). The dog owner testified this morning that the animal has since gone to live with relatives in the City of Yakima where it will likely live out the remainder of its life. What’s unclear is whether the City of Yakima has any idea that a dangerous dog is now living within its boundaries. My guess is that it has no idea, particularly when the City of Yakima also has a law banning pit bulls. Nonetheless, I have to seriously question the wisdom of the City of Burien for not adopting a dangerous dog ordinance that allows it to euthanize an animal that has already seriously maimed and disfigured a human being within its boundaries. #5 HARASSMENT/STRIKE, SHOVE, KICK, ETC. 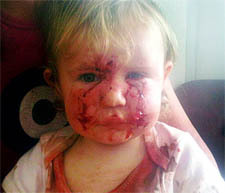 UNITED KINGDOM -- Toddler Lilly Llewellyn suffered 50 stitches in her face after a family pet snapped and turned on her in a vicious attack. Breeders describe Cairn Terriers like eight-year-old Smokey, as "the best little pal in the world". But he mauled Lilly, 16 months, after she accidentally stepped on his tail. The startled Terrier sank his jaws into the child's face and tossed her around in a savaging that nearly cost her an eye. Smokey has been put down. And yesterday Lilly was trying to be brave after a painful operation to repair her scarred face. Her dad Lyn Llewellyn, 40, said: "The attack came from nowhere. We would never have expected it from Smokey. We don't know if the dog had a bad day or was unwell in some way. "It is very traumatic for Lilly and for all the family. Once an animal has done that, though, you can't take the chance again. "It's been awful. We didn't know at the time if she had lost her eye." Mum Leanne Austin, 37, said: "She's been so brave and is recovering well. We hope the scars will fade." Mr Llewellyn added: "Obviously Lilly's face was swollen and one eye was closed. "The doctors hope the scarring will fade because she is so young. "But she will have to go to hospital for regular checks with the possibility of reconstructive surgery or laser treatment on her cheeks." Lilly's grandparents, who owned Smokey, were described as "distraught" at the sudden and ferocious attack and the terrible injuries. All the family were full of praise for the paramedics who arrived and tended to Lilly at their home in Beddau, Mid Glamorgan, before she was taken to hospital for a four hours of surgery on her face. Paramedic Steven Roberts, 50, said: "I could see the absolute terror in the dad's eyes. Her face was very swollen, but she was very, very lucky. "The fang had gone in just above the eye and the lower mark was into the cheek. Another quarter of an inch and she could have lost her eye." The Cairn Terrier Club refers to the breed as "the best little pal in the world". But committee member Sybil Berrecloth admitted they can snap and should not be left alone with a child. She said: "They are adorable little pets and I've had them all my life. But one has to remember they are terriers and all terriers can be rather sharp. They can snap very quickly. They aren't the most patient of breeds. "Usually they are wonderful with children, provided the child isn't allowed to tease them. The lesson is you should never leave any young child alone with a dog." SOUTH AFRICA -- With eyes filled with sorrow she asks her mother why she does not look like other girls. Her hair has been shaved off and her face is stitched up. She does not smile like she used to because it hurts to do so. Her days are spent in and out of hospital and she rarely gets to play like before. has not been removed from the property where the incident took place. Gabby after the dog attack. 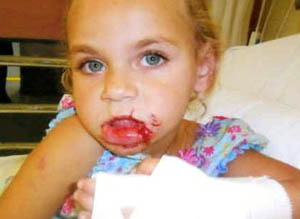 Five-year-old Gabriella of Glen Marais was attacked by an Alsatian. The dog tore her face open, damaging her facial muscles and nerves. Gabriella has had to undergo over 10 hours of facial surgery and is due for more constructive surgery. Her mother Nikita said on the weekend of October 30 her family was invited for a braai at her fiancé's family's home on Atlas Road. "We were all standing in the yard while the children were playing. All of a sudden the dog jumped on my daughter. "The men tried to get it away from her and in those seconds the damage was done. I had my daughter's blood all over me and we rushed her to hospital," said Alberts. Two days later Alberts reported the incident to Kempton Park SAPS with the intent of having the dog removed from the property. She said she assumed the police would immediately remove the animal or inform her on the steps to take to have it removed. Instead, a week later a police officer contacted Alberts, reprimanding her of being an unfit mother. "He accused me of being a negligent mother. He said I did not deserve to have a child. He was rude and didn't tell me his name. I kept asking but he refused. "I found his conduct shocking and appalling. Does he know what we've been through? There were witnesses to the incident. We were all standing around the children when the dog just attacked," said Alberts. The next day Alberts received an SMS stating a case had been opened and an investigation would be conducted. According to her she was informed by the police that the dog could not be blamed. Alberts believes the police are purposely making it difficult for her to get the dog removed. "What if the dog attacks another child or person? I can't even reassure my daughter that the dog is gone. She asks me every day whether it is still there. My daughter now has to live with the physical and emotional scars for the rest of her life." Capt Jethro Mtshali, Kempton Park SAPS spokesman, said the police did not have the authority to remove the dog. "An investigation will be held, statements taken from the dog owner and people who were there. The docket will then be sent to court for a decision to charge the owner of the dog or not. "As for the allegations that Nikita was accused of being unfit, we refute this and do not have any record of her being contacted by our police officers," said Mtshali. NEBRASKA -- Several local residents questioned the effectiveness of new dangerous dog regulations in Blair during a public hearing about the proposed rules at the City Council meeting on Tuesday. Jane Straube, who initiated the request for tougher dog laws after her dog was attacked by two pit pulls from a neighbor's house in July, asked the council what the difference would have been in her family's case had the new law been in effect in July. Straube and her husband, Bill, had asked the city to consider banning pit bulls in town. The proposed new ordinance requires that pit bulls and similar breeds be kept in a securely fenced yard or be on a leash and muzzled if they are outside the fence, but does not ban them. Straube wondered if the new law would have helped prevent the attack on her dog. Patti Plugge told the council her dog was attacked Saturday morning by two border collies at Black Elk/Neihardt Park. She said it was "lucky I can kick hard," and that someone heard the screams and came to help. Plugge said it was not the first time the two dogs had attacked another dog. She said she filed a report with the police and the other person whose dog was attacked had filed a report. She said she was told one of the dogs would be destroyed, but the other one was not deemed aggressive. Plugge wondered why and who deems dogs to be aggressive. Council members said the proposed new law would give police officers more discretion about dangerous dogs and would put more responsibilitiy on owners, leaving them subject to court appearances and fines, being forced to take classes on responsible pet ownership and even banning them from pet ownership for up to four years if they are deemed "reckless owners." Councilman Jon Stewart said the proposal is not perfect, but he hoped it would be an improvement for both police and residents. Lt. Aaron Barrow of the Blair Police said a new records system would generate a report that would include the owners' name, whether the dog was licensed and any legal history of the dog and owner. If the new law were in effect, Councilman Hal Kephart said, the owners of the dogs that attacked the Plugge dog would have been subject to a Class A misdemeanor along with having the dogs impounded (which the owner would have to pay for). Ken Stier, a neighbor who helped the Straubes fend off the dogs that attacked their dog, wondered if allowing dogs "two strikes" before they are impounded or destroyed would be a good idea. He said the new law would not have prevented the attack on the Straubes' dog. One of the dogs previously had been identified as dangerous. Straube agreed that dogs be given one strike - taken away from their owners or destroyed after one attack. Jim Keller, a pit bull owner, said he was glad the city was not trying to ban pit bulls and other breeds. He said pit bulls are "some of the nicest dogs you will ever want to meet if you get to know them." Councilman Hal Kephart said the proposed new law is based on laws in Omaha and Gretna. He said it appeared to be a better alternative than to ban pit bulls. For the first time, cats would be included in the animal regulations and two people had questions about that and about pet limits. The new proposal would limit households to four cats and Darrel Boesiger wondered what would happen to people who already might have more than four cats. City administrator Rod Storm said if the new law were approved, the city would work with owners over a period of time to bring them into compliance. Stewart said the goal of the new law was responsible pet ownership, for dogs and cats, both of which would be required to be licensed. Cindi Heng also wondered if owners would have some initial leeway. The new law would limit owners to three dogs, three cats or a combination of four pets. Heng also said collars with tags on cats can be a potential danger to the cat. The city council plans to consider the new pet regulations on first reading at its Oct. 26 meeting. By law, the ordinance must be approved at three different meetings, unless that rule is waived by the council. ILLINOIS -- On Friday, police in Granite City, Illinois arrested Albino Periz-Garduno, 33, and charged him with aggravated animal cruelty after allegedly stabbing a cat with a samurai sword. When police arrived at the home of Periz-Garduno, they found a cat in severe pain from a large gash, apparently from a sword. The cat could not be saved and was euthanized. According to Assistant Police Chief Jeff Connor, the illegal alien had been drinking. Someone inside the residence left when the cat was stabbed and called police. Immigration and Customs Enforcement has placed a hold on Periz-Garduno. OHIO -- Charges have been field against the owner of two pit bulls who attacked and seriously injured a Xenia woman. Anthony Hill lives on King Street and owned two dogs that attacked Linda McGaughey last month while she was walking her dog on West Second Street. The woman who was attacked is still recovering, and according to her co-workers, is haunted by the whole ordeal. “She is still upset. Cries when she talks about it,” Stacy said. News Center 7 talked with McGaughey just a couple of days after the attack. “I was just praying. I thought they were going to kill me,” she said. At the time of the attack, she said she wanted two things done. She said she wanted to heal quickly and she wanted to see Anthony Hill, the owner of the dogs, be punished. 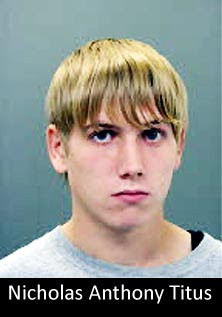 McGaughey said, "He needs to pay retribution. He needs to be held responsible and accountable." Since the day she was attacked, Greene County Animal Control officers have cited Hill on two counts each of failure to control a vicious dog, failure to have insurance and failure to register. Reporter Gabrielle Enright went to Hill's house to talk to him about the case, and he was not home. She also tried to call him, but, so far, has not been able to talk to him. Xenia police shot one of the pit bulls on the night of the attack, and investigators said Hill gave up custody of the other dog, allowing it to be euthanized. Stacy said her only concern is her friend, and said the fact that it appears that Hill is working with authorities will help her appeal. Animal control officers said Hill have been very cooperative with the investigation. “I’m glad he’s cooperating. That helps Linda. She deserves justice. She really does,” Stacy said. According to court records, Hill's next court date is Oct. 15. FLORIDA -- We often hear of community residents upset about “condo commandos” overzealously enforcing the community’s rules and regulations. What about those times when a board chooses not to make an issue over rule infractions? An 83-year-old Port St. Lucie man died more than two months after being attacked by a pit bull in February 2009 and his widow, Suzanne Klatch, and adult son, Avery Stephen Klatch, are suing the dog’s owners for wrongful death. The civil suit filed last week in the 19th Circuit Court of St. Lucie County also names Cascade at St. Lucie West Residents’ Association and the association’s management company as defendants for allegedly failing to enforce dog weight limits and leash laws in the subdivision’s covenants. It also names insurance companies representing the Cutlers, the homeowners association and the management company as defendants for allegedly failing to pay Mr. Klatch’s medical bills. According to the complaint, Robert J. Klatch was riding in a golf cart Feb. 11, 2009, in the Cascades at St. Lucie West neighborhood when his shih tzu, Shayna, was attacked by a pit bull owned by Harvey Cutler and Jane Cutler. Klatch was thrown from the cart and bitten as he tried unsuccessfully to save his dog, according to the lawsuit. 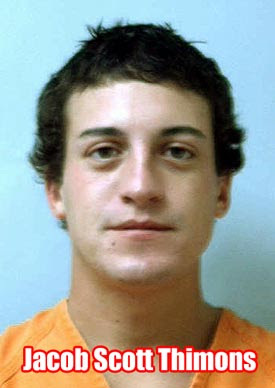 He died April 21, 2009, as a result of the injuries, according to the family’s attorney. In Cascades at St. Lucie West, the board and manager allegedly failed to take owners to task for having overweight dogs off leash in the community. 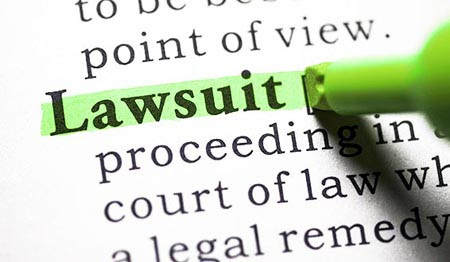 If the association and/or manager were in the process of addressing Mr. Cutler’s violation and have letters to demonstrate their intention to enforce the restriction, it could make a difference in the outcome of this litigation. 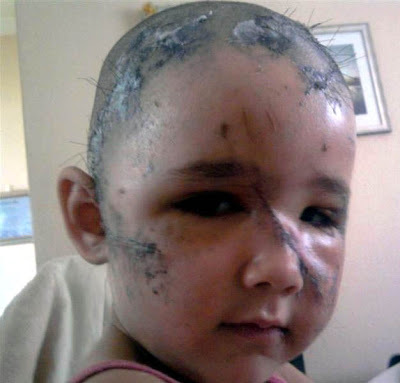 AUSTRALIA -- FIVE-YEAR-OLD Lillian Fraser's appalling injuries are now healing, but for her parents the scars of a dog attack in September that disfigured their little girl's face are still all too real. Lillian was visiting a relative in Springfield with her mum, Susan Cameron, and her two younger siblings, when the relative's dog attacked her. Her parents are calling for the dog to be put down, but have heard Ipswich City Council may return it to its owner. “As soon as we got to the house it just attacked her,” Ms Cameron said. 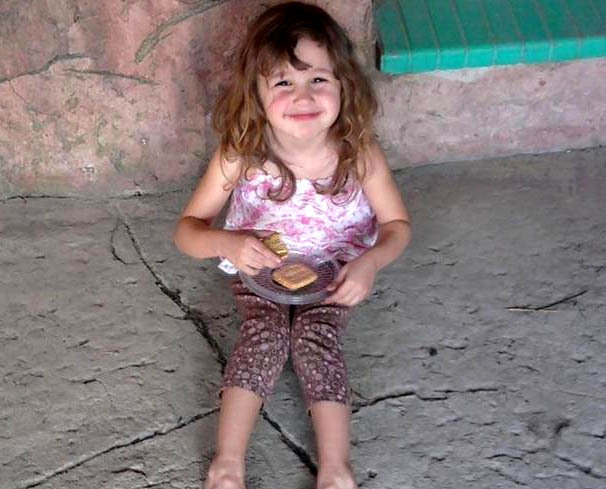 While the family is trying to move on, Ms Cameron and Lillian's father, Russell Fraser, said they were outraged the dog may be returned to its owner. Lillian has already undergone surgery during her stay in hospital, but her parents said she will undergo more as she gets older. “She's already had surgery to pull her lip back over and to fix the holes in her arm,” they said. While physically she is healing, Mr Fraser and Ms Cameron said their young daughter has been having nightmares since the attack. Ipswich City Councillor Andrew Antoniolli said the matter was still being investigated, and council was looking at trying to have the dog declared dangerous. “The circumstances of this matter were that the attack occurred on private property, so it's not a matter of public safety,” he said. “The dog is likely to be returned to its owner, but it's currently still with council. 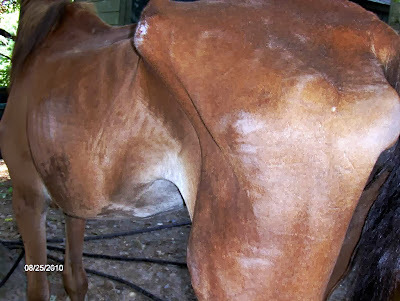 MASSACHUSETTS -- It was the middle of the night on Sept. 30 when Star — a brown-spotted Holstein — made her escape from Wellesley's Hunnewell Farms by nudging open a gate and hurdling a small fence. And just like that the cow was on the lam. 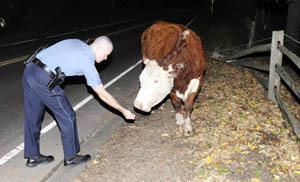 “It’s quite strange to see a cow in the middle of the roadway eating acorns,” said Sgt. Scott Whittemore, who along with a number of others officers went toe-to-hoof with the incorrigible heifer last week. 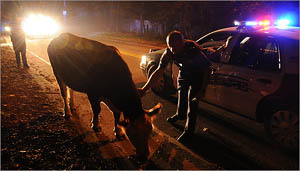 Whittemore was helping officer Ron Poirier finish up some paperwork at around 4:15 a.m. when the call came in: a cow was on the loose in the middle of Washington Street. He (his trusty camera in hand), and officer Poirier hopped in their cruisers and headed off the scene. When they arrived they found Star calmly nibbling the fallen nuts. A few years back Whittemore said he’d come across a similar scene, complete with another escaped cow. 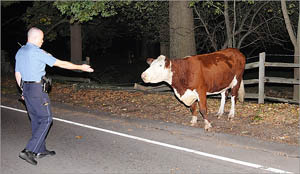 That time the cow had run away when they attempted to corner it so he was inclined to handle the situation cautiously. Poirier was a bit more gung-ho. While a third officer drove his cruiser alongside Star (to make sure she wouldn’t run out further into the road) Poirier slowly drew the cow back to the pasture. It was only after Star was safely back in her pen that Poirier explained he’d worked on a farm as a kid. While Whittemore is no stranger to odd animal sightings (he captured a battle between a skunk and a fox over the summer) Star’s escape made for an exciting shift. MICHIGAN -- The owner of a dog that was mauled by a neighbor’s pit bull over the summer said she and other family members remain concerned a vicious animal still lives in their Saline neighborhood. Christa Wilde followed through on charges against Amber Calo for owning the animal that seriously injured her dog outside her home on June 22. She just didn’t expect at the end of the criminal case that Gringa, the 2-year-old female pit bull that attacked unprovoked, would stay her neighbor. Calo was recently sentenced to four months of probation after pleading guilty to one count of owning a vicious animal last month, court records show. She was allowed to keep Gringa, but was ordered to keep her penned while unattended inside her home and to have the dog muzzled anytime she’s outdoors. Her case will be reviewed in January. Calo voluntarily covered the veterinary bills for Dolly, the 7-year-old beagle mix that was hospitalized overnight with several wounds, reports said. District Judge Richard Conlin also ordered her to pay fines that were not specified in court documents. 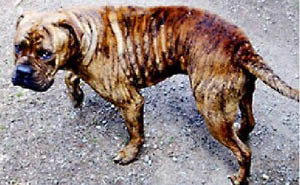 However, Wilde said she thought Calo’s dog would be considered dangerous and thus prohibited by Saline’s municipal code. In an earlier interview with AnnArbor.com, Calo said she intended to move Gringa to a friend’s home in Ann Arbor. Calo declined to comment for this story, and it's unclear whether that ever happened. Wilde said Gringa remains in her neighborhood and is often at the forefront of her children’s minds when they pull into their driveway or get ready to play outdoors. She and Calo are next door neighbors in a complex of attached condominiums. TEXAS -- A dog attack in Terry County killed a miniature horse Wednesday morning, and seriously injured three others. What a sad sight to see, four miniature horses attacked. The youngest, a baby just four months old is barely hanging on, but another baby is dead. They were all found after being attacked by what the owner called a pit bull mix. "We've got some tears right there at the base of the skull, just a big open wound. We see a lot of attacks. It's a huge problem around here," said Dr. Jim Ridenour with the Terry County Vet Hospital. For more than six hours, Dr. Ridenour nursed the miniature horses back to life. "The little guy is touch and go. The two bigger ones are doing great, they are going to be fine, we're going to have to just see how it goes with the little one though," said Ridenour. Their owner, Tommy Smith was shocked when saw what happened. "They are just like a pet, it is disgusting to see this happen and nobody is here to foot the bill other than us," said Smith. All of Smith's eight miniature horses stay at a nearby farm. When they were discovered Wednesday morning the dog was still roaming around the pen before he was shot. Now Smith is urging pet owners to be responsible. "Somebody just dumping off a dog is the biggest thing. Why do we have to continue to do this and have these situations here," said Smith. Dr. Ridenour says especially out in rural areas it's far too common for dog owners to just let them go free when they do not want to take care of them anymore. "They've got to find a way to survive and unfortunately sometimes they turn to attacking livestock," said Ridenour. "Don't just dump these guys off and expect someone else to take care of this dog, because this is what happens," said Smith. On Wednesday KCBD NewsChannel 11 broke the story that a stray dog attacked miniature horses in Terry County, killing one and injuring others. 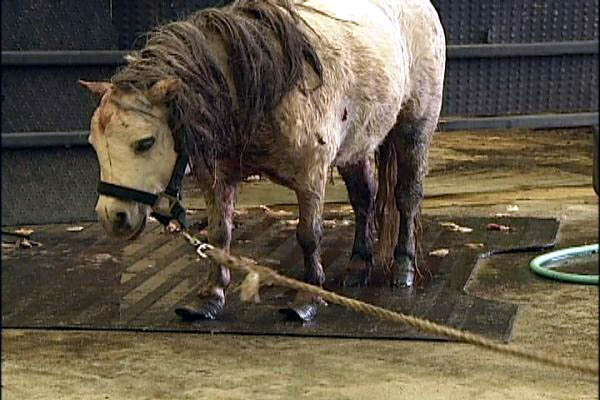 The owner of the horses found the dog, a Pitbull mix, roaming around the horses' pen and he killed it. On Thursday the owner, Tommy Smith, gave us an update on the surviving horses, one of which was at grave risk as of Wednesday evening. He says they are doing well, just slow moving and sore. He thanks everyone for their kind thoughts and prayers. Friday morning, the owner of the miniature horses in Terry County contacted KCBD NewsChannel 11 to let us know that the little foal passed away during the night. He says that the others are doing ok, but they are still very sore. 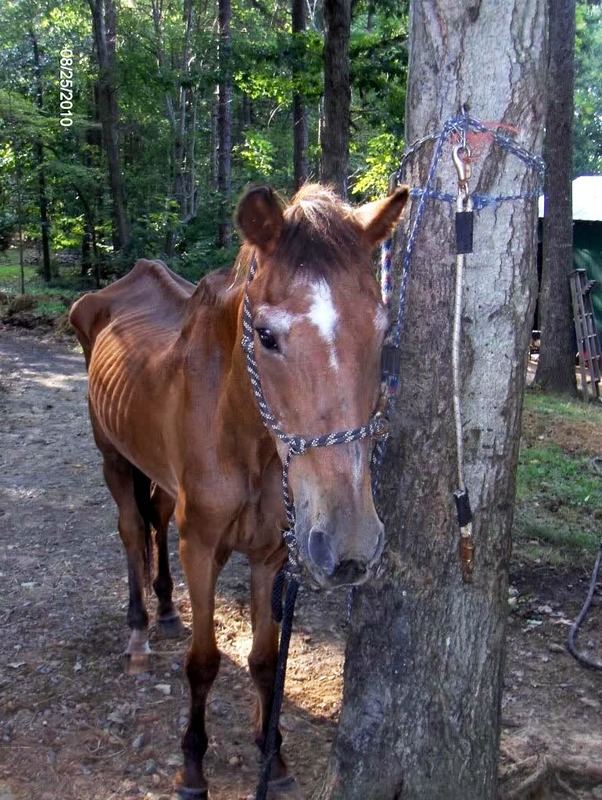 NORTH CAROLINA -- Two neglected horses along with two dogs were removed from a residence in Stanfield on Monday. Vet services body scored one horse (using the Hennke Body Scale Score) at a one body score with extensive injuries to the right hind quarters. 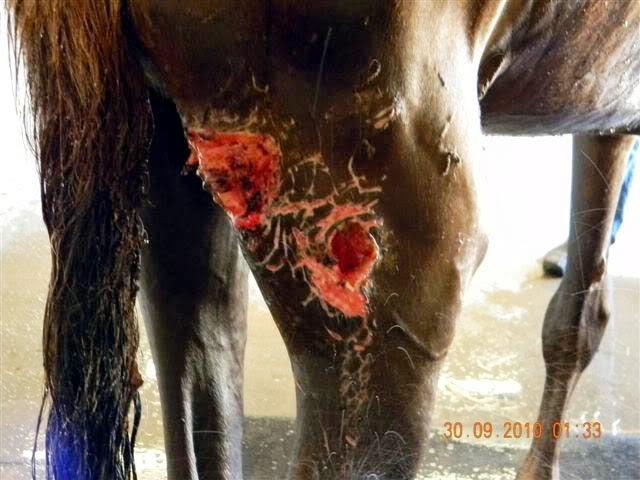 The Stanfield Police Department along with Stanly County Animal Control served a warrant after complaints had been filed about malnourished and injured horses on August 27. 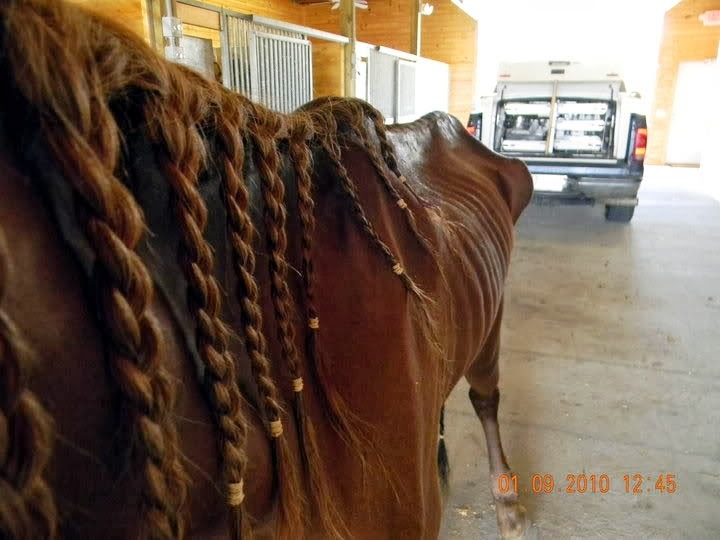 Officers seized two horses along two dogs that were surrendered. Both horses were severely malnourished. One suffered extensive injuries to the right hind quarters while the second horse had a deep and severe laceration to the right hind leg. All animals have been turned over to the Stanly County Humane Society for further medical treatment and will remain with them until further disposition from the Courts. NORTH CAROLINA -- A Thomasville woman has been charged with failing to care for two dogs and allowing them to die. Bonnie Johnson, 35, of 203 Montlieu Ave., was charged by Thomasville police with felony cruelty to animals. She was given a $500 secured bond and has a Nov. 19 court date in Thomasville. According to an arrest warrant filed in the Davidson County Clerk of Court’s Office, Johnson failed to provide food and water for two mixed-breed dogs, which resulted in their deaths. The date of the offense is listed on the warrant as Sept. 25.